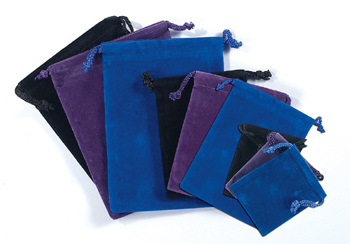 2" Velour Pouches - pack of 100 Black or mix of Black, Purple and Blue. Great for stones, jewelry, medicine bags. Durable and soft.